It’s like 11 on 11 (standard soccer), but the only difference is that futsal is a lot smaller; it’s five on five. It’s played on indoor or outdoor courts. What’s the appeal over standard soccer? It’s very fast-paced, and you have to be thinking quickly—if you don’t think, you already have someone attacking you or winning the ball from you. Tell us about your history with the sport. 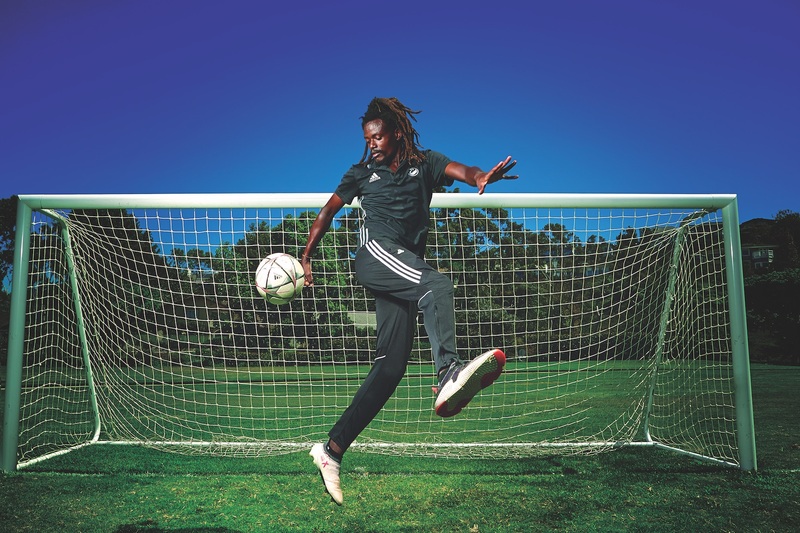 I played soccer growing up in Kenya and moved here after high school. I was not expecting to play soccer here, but I found a futsal facility near where I lived. I would walk by this facility every day and not even realize there was soccer in there. I started to play again, and then I started coaching privately. Now I’m in my third year coaching JV soccer at Los Amigos High School (in Fountain Valley). Why did you start HB Futsal Club? When I started it in 2013, it was just meant for private coaching, but then I started making teams to play in pickup games. I also wanted to bring the community together and create more soccer awareness. Now we have field, futsal, and street soccer teams. What is your goal for the club? My goal is really big. I want to open a facility here. I’m working toward that—to open up a soccer facility just like the one I used to have pickup games in. I also want to open one up in Kenya and hopefully give kids there the opportunity to get scouted for bigger teams. Visit hbfutsal.com for more information. Previous articleShould We Be Afraid of a Looming Beer Bubble in O.C. ?